Stackbins' stackable roller-bearing drawers are available in 6 sizes; we offer a (3"), a (5"), and an (11") high drawer with two different drawer extention lengths. We have (3) drawers with a 14" extention and (3) with a 20" extention. Each drawer is a separate unit which includes a roller bearing drawer and a full case which means that since these drawers will bolt together, they can be added to or reconfigured at any time. Manufactured of 18 gauge steel, all of Stackbins' roller-bearing drawers open and close effortlessly and lock into place when closed. 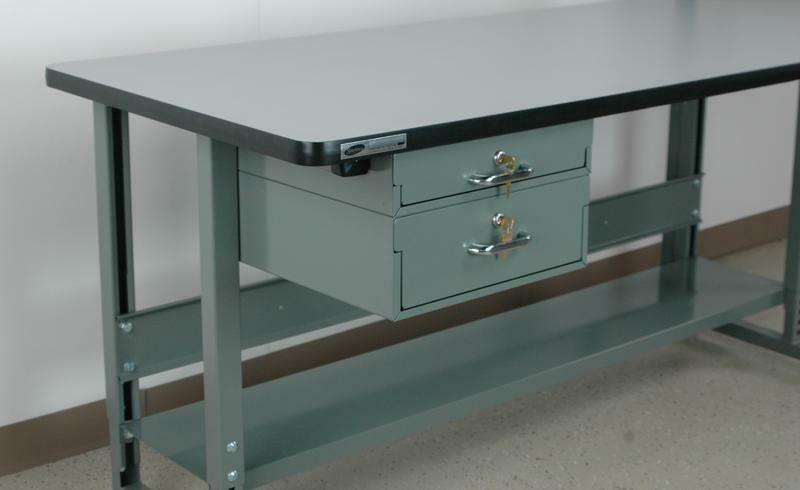 High-quality handles included with each drawer and optional locks are available.